Timeline: Turnaround for a commission is often 4-6 weeks. This can be shorter or longer depending on size/detail of your piece as well as current season/workload. I keep in touch with you throughout the process so you know when to expect your completed painting. Deposit/Refunds: Once you have decided to commission a piece and all details have been discussed via email, you will sign a basic contract and make a 50% down payment. This down payment is non-refundable. 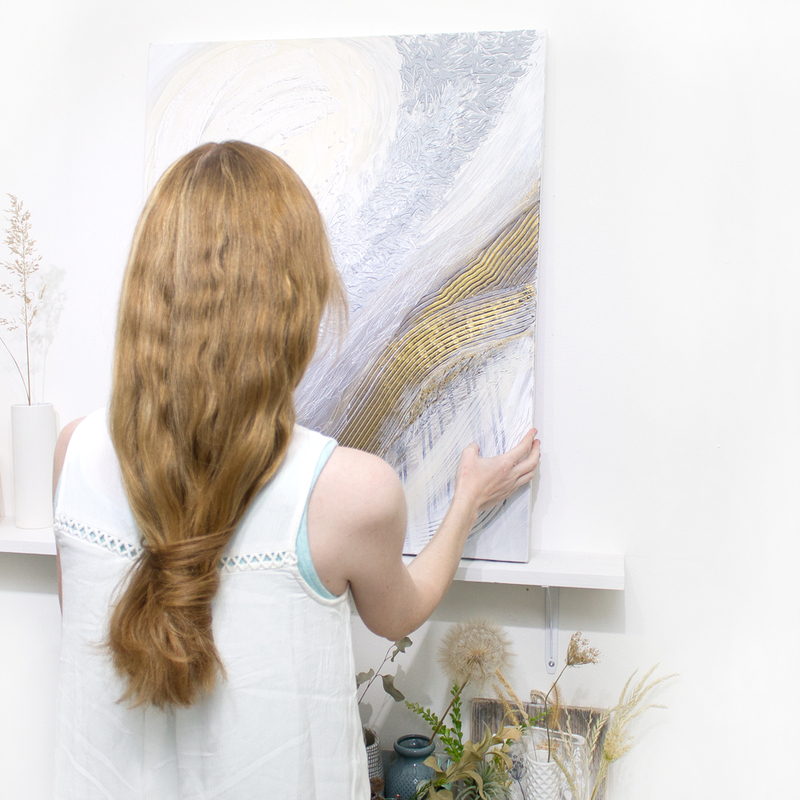 However, should you, at the end of the process decide that the painting isn't quite right for your space, you are under no obligation to purchase the painting. In this case, your down payment will be returned to you in the form of store credit to use at heathermroberts.com at any point in the future and the commissioned piece will be made available to others for purchase. Shipping: Buyer is responsible for shipping costs (unless otherwise specified) as well as any additional taxes, customs fees, etc. Shipping time and method will vary depending on your location. Pricing: To be quoted via email after details are submitted and/or discussed. Prices are generally computed by size/medium/style but if you have a specific budget range you must adhere to, please feel free to share details in the question/comment box at the end of the following questionnaire. Do you prefer a canvas/panel that is 3/4" deep (better suited to framing) or 1.5" deep (can be displayed without framing)? Do you prefer portrait (vertical) or landscape (horizontal) orientation? The turnaround for commissioned pieces is typically 4-6 weeks, though this may be shorter or longer depending on size/details of piece as well as current season/workload. I will keep in touch with you throughout the process so you know when to expect your completed painting. Please describe (or send photos of) the colors you would like in your painting and which should be the most predominant. Please note: if commissioning an abstract piece, choosing 2-3 base colors (not including white) generally works best (varied shades of each of these colors will be used). Please describe any colors you do NOT want in your painting. For abstract commissions: please describe (or email photos) of any particular pieces or textures/patterns that you may have seen in my work and like/dislike. Example: I love paint drips or I do not like paint drips. I love the composition of this piece or I really like these lines, dots, etc. *Instagram (Click HERE to visit) is the best place to look at my work. Feel free to take screenshots and email me photos of particular things you do or don't want to see in your painting. Providing photos that elaborate upon your space, color ideas, parts of my work that you like/dislike, etc. is helpful. I will be emailing photos. I will NOT be emailing photos. Any other questions, comments, thoughts?